Blessed be! Happy Christmas my friends! Ironically, my pastor talked about the same message tonight that I feel the advent nativity has been drawing me to all season. That the birth of Jesus was messy. That it is still true that God came into out world. That it is real and that it does matter to me. 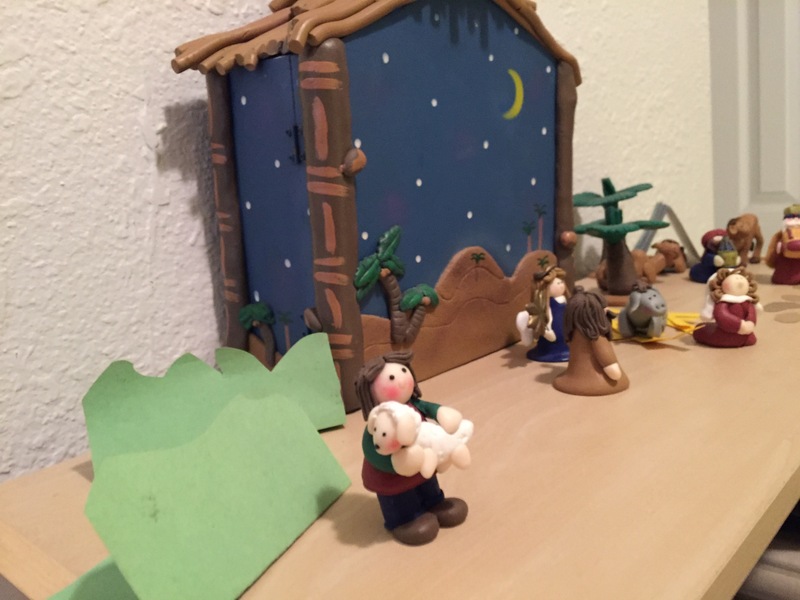 This entry was posted in Advent Season, Theological ThinkTank and tagged advent, advent nativity, Christmas. The little drummer boy is nowhere in the Bible. He is part of a song, written several years later by a song that is a twist on the magi story. Kings bring their fancy gifts and expensive items. But the little boy brings all that he has–a little drum– and his ability to do something. 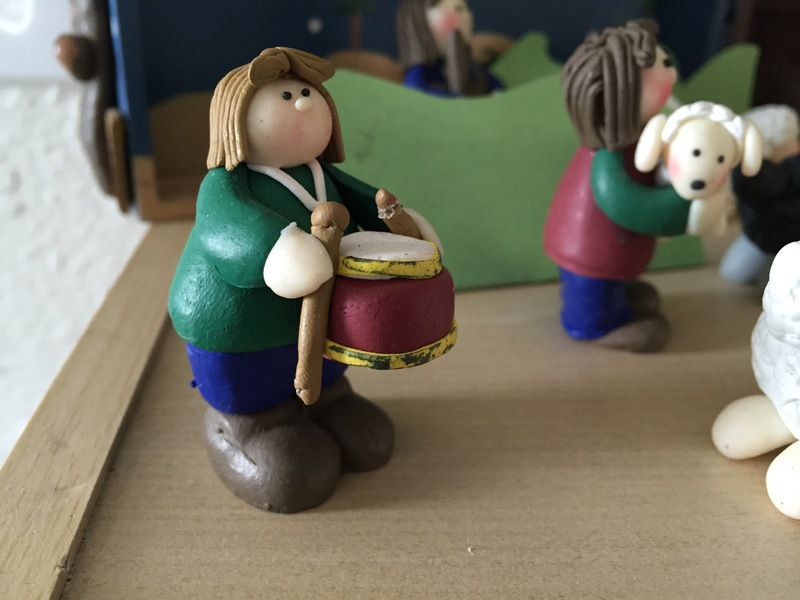 I think that’s the point of the drummer boy in this nativity and why he is one of the last to be added to the story. That we are to come to the Christ child. In our world, the real world. Among the others like us and not like us. We are called to bring what we have. All that we have. And what we can do. All of what we can do. Whether it be the fragrant, valuable and rare or ordinary, dirty and noisy. Hang on–the little reason for this great scene is about to be revealed. 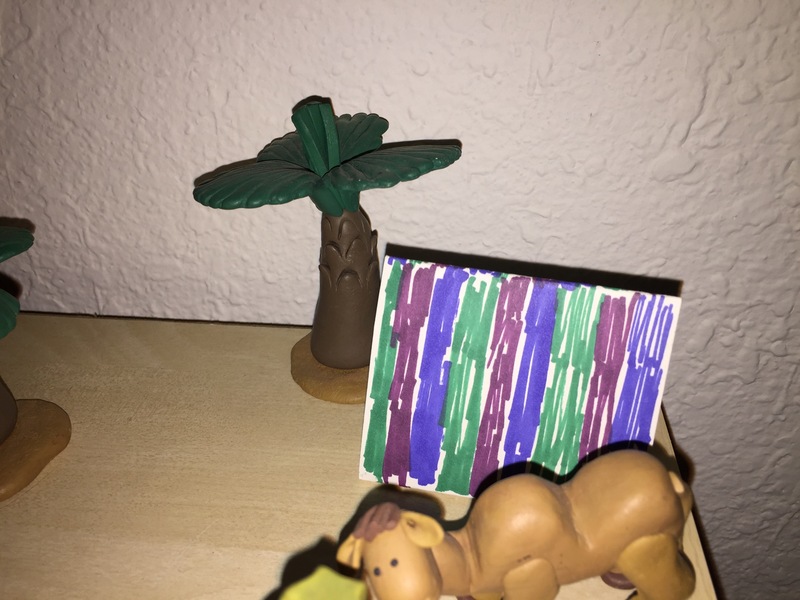 This entry was posted in Advent Season, Theological ThinkTank and tagged advent, advent nativity, little drummer boy. The shepherds have always been one of my favorite characters in the nativity. They are people I feel like I can relate to. Maybe because I love animals and if I could figure out how to make a living doing it, is considering animal care while farming. (I know it’s possible–it’s the transitioning and where in CA to do it.) 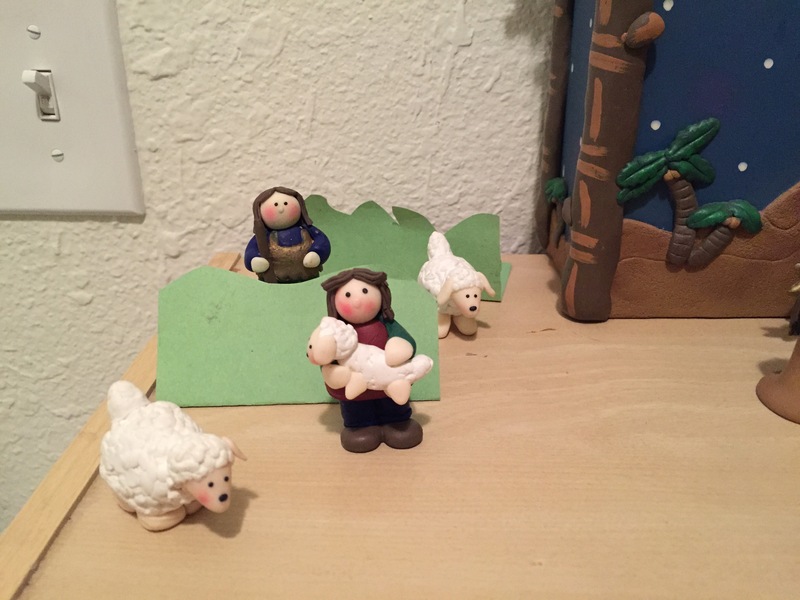 Nevertheless, the shepherds are the common folk. Not the Kings, not the main characters. Not the extras. They are very crucial to the advent story. Because despite the Kings bringing fancy gifts, they do not get the most glorious announcement. The shepherds get hosts of Angels singing about the glorious gift of the baby. And realizing the importance of this miraculous event, the rush with all they have to the manager. It’s s beautiful story. 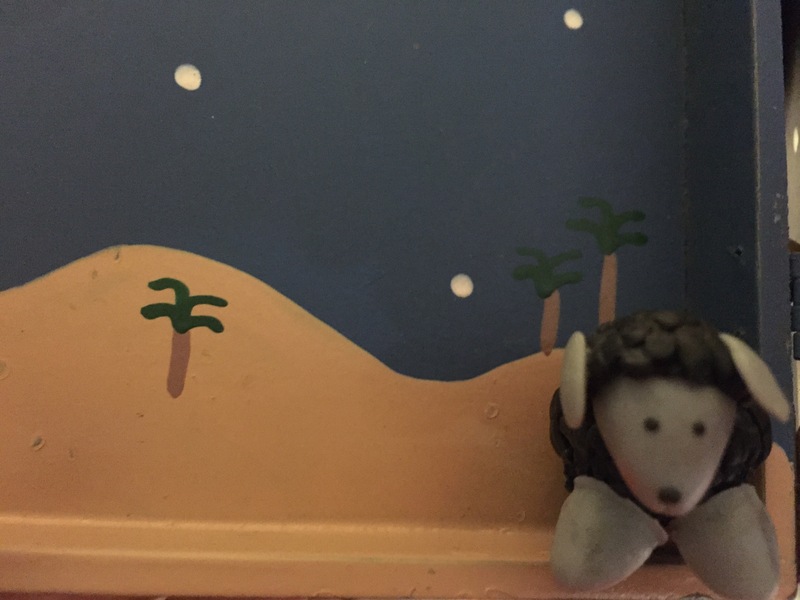 This entry was posted in Advent Season, Theological ThinkTank and tagged advent, advent nativity, black sheep. 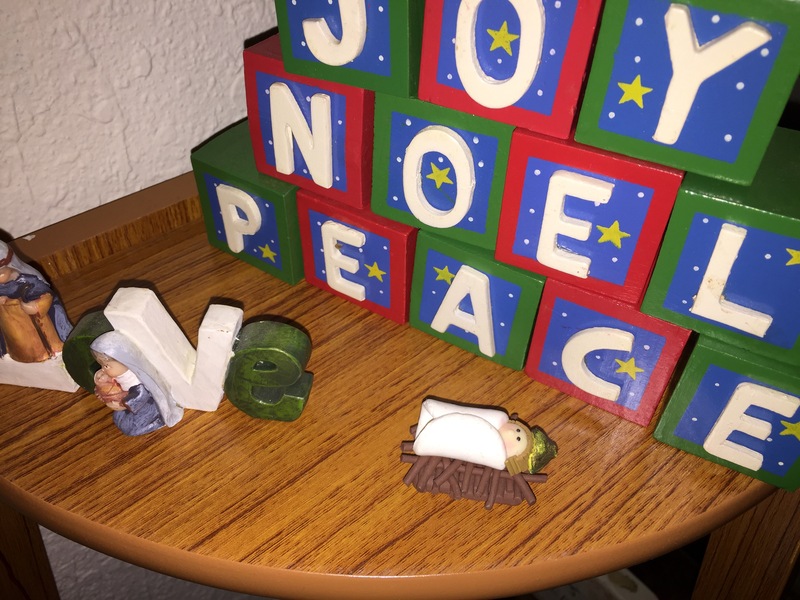 This entry was posted in Advent Season, Theological ThinkTank and tagged advent, advent nativity. I love adding to the nativity. 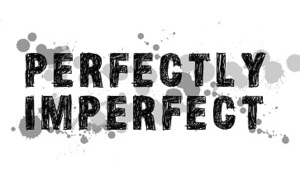 Especially beyond the standard characters. The first additions typically are a sheep, a shepherd and a king (solitary) to remind you of those parts of the birth narrative. However, the good nativities will add all three kings. 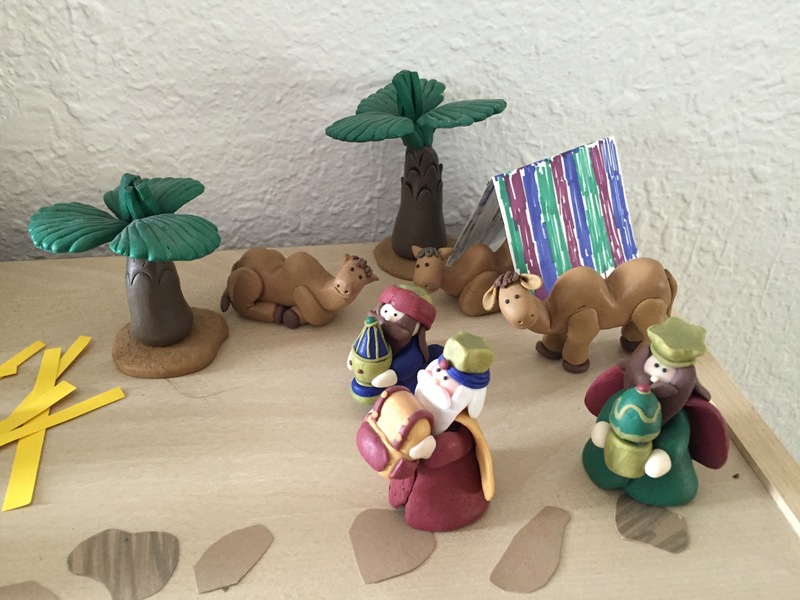 This advent nativity goes one step further–adding their camels. I would like to think its a reminder than more than one came to honor the king. 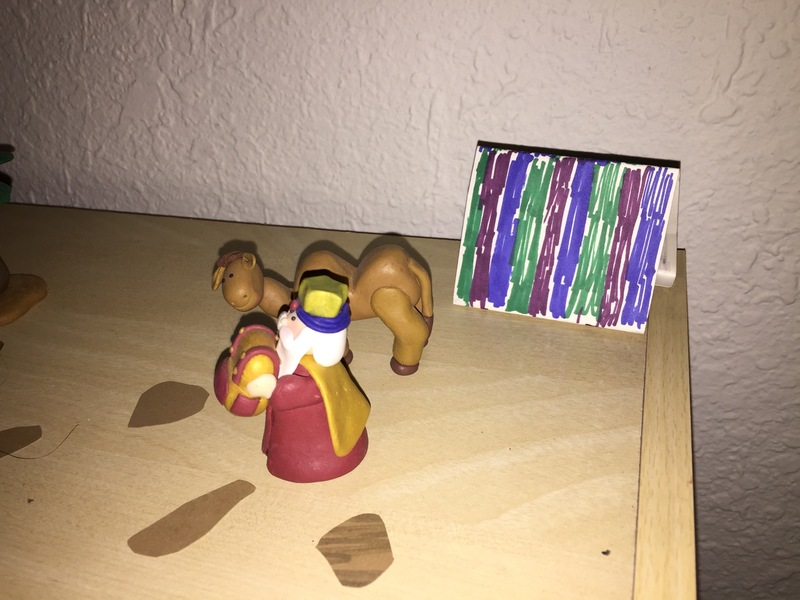 Three kings came–leaving no room for doubt as three witnessed the baby and followed the star. Little subtleties, great wonder and mystery. Day 10 & 11: a tent and another Palm tree. 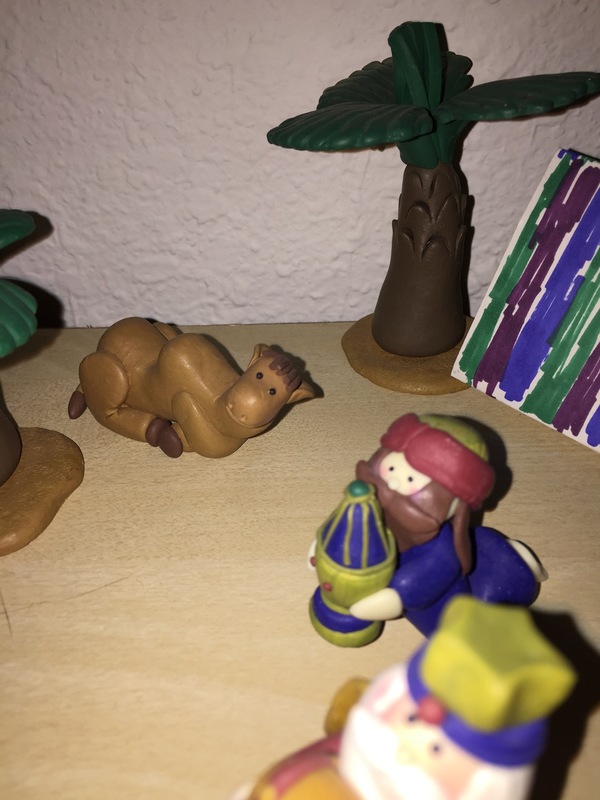 So now that Mary, Joseph, donkey and wise man (he actually has a name in my nativity, King so& so, but I’m not sure how historically accurate that is so I just refer to him as red coat white beard dude), you get to add some scenery. Now, as I stated before, the camel adds some fun. But more fun is adding things you get to make. My favorite homemade pieces are something you’ll see later and what’s above: the tent. It’s a helpful reminder that God will provide shelter while seeking Jesus, no matter what or who you are. If you think as I do that the “Kings” we’re more like astrological wise guys, then having a gypsy-like tent makes more sense. Something temporary and not super fancy.